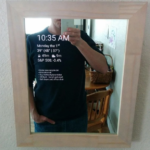 If you run your Magic Mirror on an Android device instead of Raspberry Pi or any other OS, you can use native apps to display your info screen instead of, say a full screen browser page. This means you don’t have to set up a server to run your magic mirror software or find another way of hosting it. 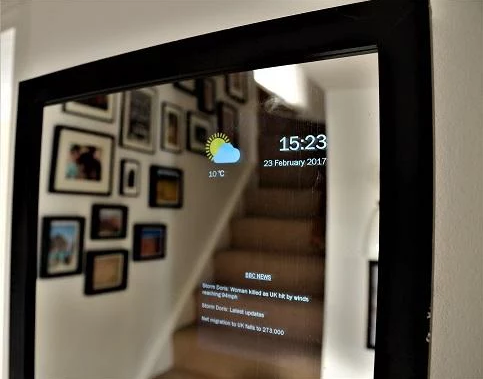 The easiest way to turn an Android device into a smart mirror is using the Magic Mirror Dashboard Generator. Simple create a dashboard, get your unique URL and put it into your Andoid device’s browser. You can even download a full screen browser from the Play Store to use the whole screen. 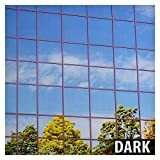 As of this writing, there are actually very few android app available to download directly from the Play Store, that are designed specifically to be used with smart mirrors. 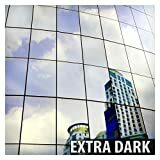 The first app is called Wall Mirror, and is free. 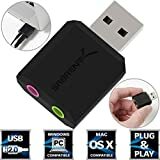 It does the job it’s designed to to quite well, but you don’t have as much freedom as you would have with a github repo or the like. 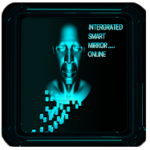 HomeMirror is a great looking app that is designed to display various information on your smart mirror. The app design is great, the setup screen looks nice and the app looks good on your wall, but again, you are quite constrained regarding the look and feel as well as what info to display. This app has a neat feature built in that attempts to read your mood by using facial recognition and the front facing camera on your android device. Don’t know how well it works but it’s a cool feature. You can also display a XKCD comic, a news headline from BBC (no custom feed availability). It can also tell you if the weather is nice enough to bike to work, which is handy if you commute a lot on a bike. This app looks amazing. 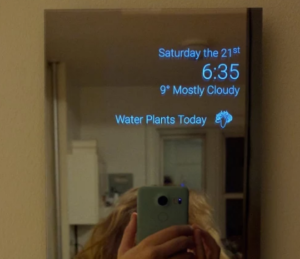 It’s probably the best looking smart mirror app i’ve seen yet. But there’s a catch, you can’t download an APK directly, so you’ll have to compile it using the Android SDK. There are detailed instructions on the GitHub project site, and I think the extra leg work is definitely worth it. The Speculum app offers a lot of customization, practically endless, since you have the source code. 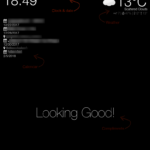 The setup screen looks very nice and the info is displayed in a very nice manner, with excellent typography and icons. 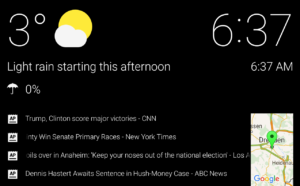 The app also offers robust features such as voice commands. 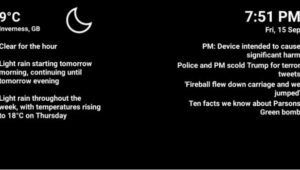 You can ask the mirror for a joke, update the data displayed or even create your own commands (again, detailed instructions in the link). It also supports controlling the display via brightness sensor / mircophone (supposedly speak a command to wake the mirror up). This is probably the best looking app so far. It has beautiful type and icons, and the layout looks really nice. There are a lot of customization options available, but that may be for advanced builders. Here is a better look at Braun’s mirror, which looks spectacular. Max works for Google, so of course he makes an app on android. To use this app you have to compile an APK yourself. There are detailed instructions on how to do that in the link. This is an android app that has gotten mixed reviews on the Play Store. I haven’t checked it out myself though. It offers the basics like weather, transportation time, news etc. The look isn’t the sleekest I’ve seen, but some may like it. News headlines from source of your choice. This app looks a bit.. rough around the edges, but might improve in the future. The interface isn’t the best design i’ve seen, there are cleaner alternatives out there that offer similar features. Also, the app is not free. Do you know about any other Android apps for smart mirrors? Let me know in the comments! Respected Sir,can you send me magic mirror software for me.Thank you.